On Friday, gold went negative on the week, its first down week in five. However, the precious metal is up 10 percent since hitting 52-week low in August, and the chart is now flashing a secret buy sign: The "golden cross." The term refers to what happens when the 50-day moving average crosses above its 200-day moving average. 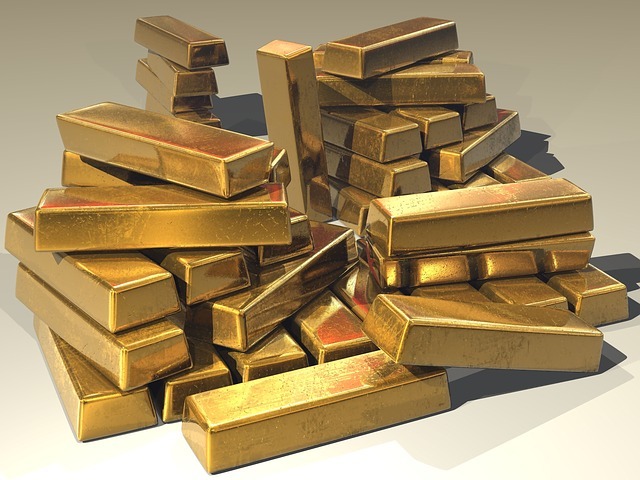 Investors have typically view this as a bullish signal that points to more upside - and Cornerstone Macro technician Carter Worth believes the gold bulls might just be right. 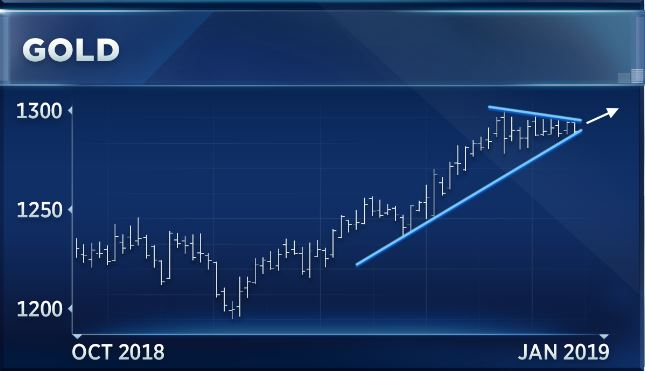 Worth points out that a "wedge" has formed in the chart of gold over the past few years, and that's got the technician looking for an bounce ahead for the metal. 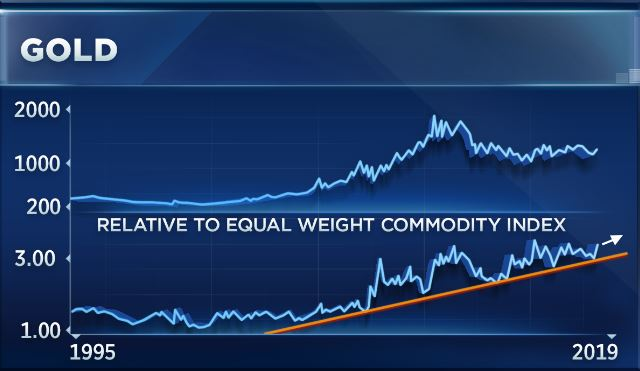 What's more, gold is outperforming the overall commodities market, leading Worth to say that the metal is seeing "the prospect of an important breakout" - thanks to its strength. 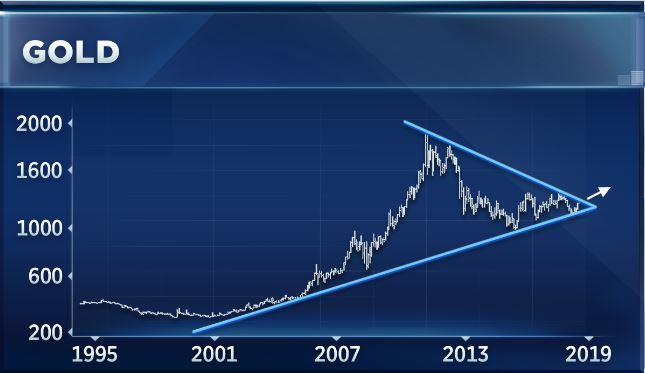 As for how high gold could run, Worth is looking to $1,300 as a "critical juncture" for the metal. According to the technician, if gold manages to break through $1,300, a level it last hit in June, then a rally up to $1,350 is likely.